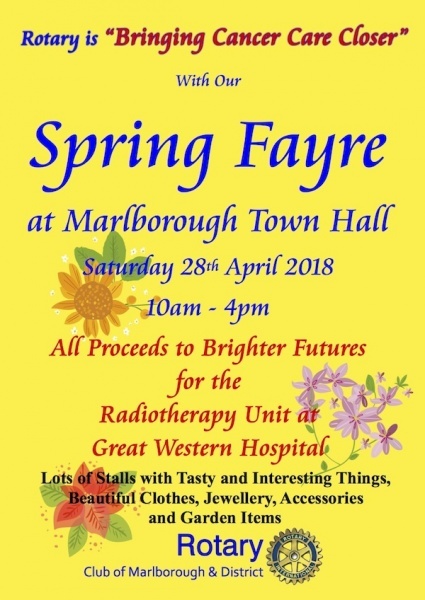 Plans are progessing well to put on our first Spring Fayre to be held in Marlborough. 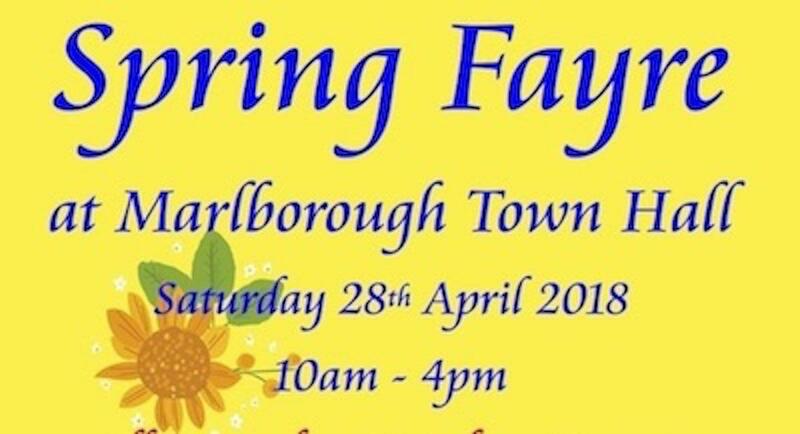 So far 24 stall holders have signed up to present their assorted wares of clothing, jewellery, accessories, foodstuffs, flowers and much more besides. Added to these stalls will be the Rotary Tombola, Rotary home made cake stall and an excellent raffle. The Rotary Cafe will be providing teas coffees and snacks and a place to rest your feet.